SOUTH WHITLEY – Whitko had a pair of positives from its past week of athletics, with Jordan Courter winning a state wrestling title and Spencer Sroufe earning basketball Player of the Week. 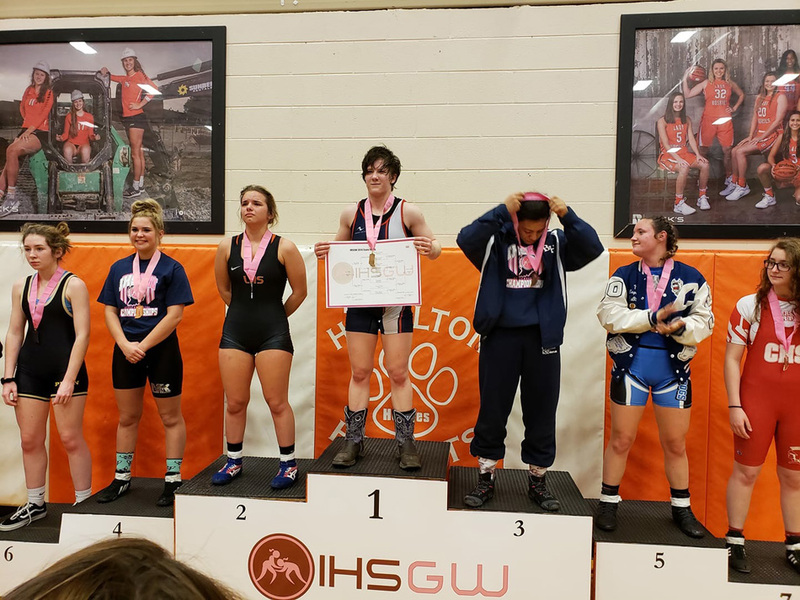 Courter became the IHSGWA State Champion in the 132 pound division Friday evening at Hamilton Heights High School. She is the first female wrestling state champion in the history of Whitko Community Schools and the second state wrestling champion from Whitko’s wrestling program overall. Courter won her championship match by a 6-5 decision over Lawrenceburg’s Elena Thatcher. Sroufe’s big game against Southwood earned him an IBCA/Subway Player of the Week award. Sroufe scored 25 points and pulled down a whopping 21 rebounds as the Wildcats held on to defeat Southwood 77-75 in Whitko’s only game last week. For the night, Sroufe converted 10-17 shots, including 2-3 from three-point range, and was 3-6 from the free throw line.